For those who haven’t addicted themselves to Super Hexagon yet, it’s pretty… addicting, to say the least. Normally this 80’s arcade-style game would run in a browser but some of the people at Club de Jaqueo in Buenos Aires decided to cram all of that into an Arduino. They didn’t stop there, though, and thought that it would work best with a POV display. To navigate the intricate maze of blending a POV display with a fast-paced game like this, the group turned to the trusty Arduino Micro. After some frustration in the original idea, they realized that the game is perfectly suited for a POV display since it’s almost circular. The POV shouldn’t take up too much of the processing power of the Arduino, so most of the clock cycles can be used for playing the game. They couldn’t keep the original name anymore due to the lack of hexagon shape (and presumably copyrights and other legal hurdles), but the style of the original is well-preserved. The group demonstrated their setup this past weekend, and the results are impressive judging by the video below. They’ve also released their source code and schematics as well, in case you have an old fan (or maybe even a bicycle?) lying around that is just begging to be turned into a mini-arcade game. Just when we thought we’d seen all the ways there are to tell time, along comes [mr_fid]’s Berlin clock build. It’s based on an actual clock commissioned by the Senate of Berlin in the mid-1970s and erected on the famous Kurfürstendamm avenue in 1975. Twenty years later it was decommissioned and moved to stand outside the historic Europa-center. This clock tells the time using set theory and 24-hour time. From the top down: the blinking yellow circle of light at the top indicates the passing seconds; on for even seconds and off for odd. The two rows of red blocks are the hours—each block in the top row stands for five hours, and each block below that indicates a single hour. At 11:00, there will be two top blocks and one bottom block illuminated, for instance. The bottom two rows show the minutes using the same system. Red segments indicate 15, 30, and 45 minutes past the hour, making it unnecessary to count more than a few of the 5-minute top segments. As with the hours, the bottom row indicates one minute per light. Got that? Here’s a quiz. What time is it? Looking at the picture above, the top row has three segments lit. Five hours times three is 15:00, or 3:00PM. The next row adds two hours, so we’re at 5:00PM. All of the five-minute segments are lit, which adds 55 minutes. So the picture was taken at 5:55PM on some even-numbered second. The original Berlin clock suffered from the short lives of incandescent bulbs. Depending on which bulb went out, the clock could be ‘off’ by as little as one minute or as much as five hours. [mr_fid] stayed true to the original in this beautiful build and used two lights for each hour segment. This replica uses LEDs driven by an Arduino Nano and a real-time clock. Since the RTC gives hours from 0-23 and minutes and seconds from 0-59, a couple of shift registers and some modulo calculations are necessary to convert to set theory time. [mr_fid] built the enclosure out of plywood and white oak from designs made in QCAD. The rounded corners are made from oak, and the seconds ring is built from 3/8″ plywood strips bent around a spray can. A brief tour of the clock is waiting for you after the break. Time’s a-wastin’! 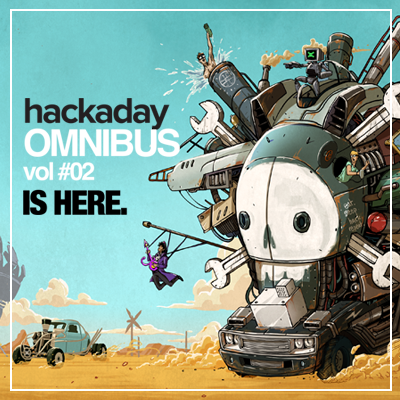 Grant Imahara was on hand at the Hackaday SuperConference for a fireside chat led by Sophi Kravitz and Chris Gammell. You know Grant from his work on the television show MythBusters. He holds a Bachelor’s degree in Electrical Engineering, is known for his work on robots and special effects, he’s the engineer behind the Energizer Bunny, and has even competed on BattleBots. Over the past year he joined with Mouser Electronics to promote engineering through their Empowering Innovation Together campaign. Mouser was one of the sponsors of the 2015 Hackaday Prize and they were happy to work with Grant to make this appearance possible. Researchers in Singapore have created a new kind of redox flow battery with an energy density around ten times higher than conventional redox flow batteries. Never heard of a redox flow battery? These rechargeable batteries have more in common with fuel cells than conventional batteries. They use two circulating liquids separated by a membrane as an electrolyte. Each liquid has its own tank, and you can recharge it by pumping in fresh electrolyte. The redox in the name is short for reduction-oxidation and refers to the process that stores energy in the two liquids. You can learn more about flow batteries in the video from Harvard below. Raspberry Pi Zero, or Minus One? The Wall Street Journal reported that [Eric Schmidt] of Google and now Alphabet Inc, promoted the idea of an inexpensive version of the Raspberry Pi to the Raspberry Pi foundation’s [Eben Upton]. Apparently [Upton] accepted this recommendation despite existing plans to make a more expensive, more powerful version of the Pi. The outcome is the Raspberry Pi Zero that sells, in some places, for $5.00 and was given away for free on the cover of the MagPi magazine. Plans were scrapped. The more powerful Pi 2 was released at the price point of existing Pis, and now we have the Zero. 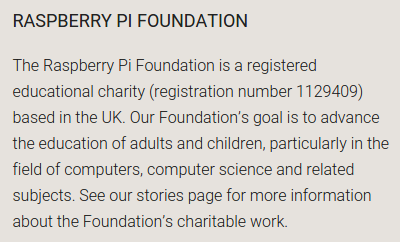 Why is the Raspberry Pi Foundation so concerned about computer education? From the 1990s onward, fewer and fewer A Level students in the UK applying to study Computer Science had previous experience as hobbyist programmers. An applicant in the 2000s usually might have only done a little web design. Very good, but how well does the Zero support this goal or address their concerns?